TRUST is everything when it comes to any relationships you may make in life and in business as well. For 30 years Short Run Forms has strived to earn your TRUST with every interaction, from our office staff to the end product…and guess what…we plan on being even better in the next 30. We not only stand behind our products, but we stand behind you, our valued printing partner. It’s important for you to know that we will never contact your customers unless, in rare cases you ask us to. Although we have relationships with many of our printing partners, our staff is completely professional with job/customer information as well as artwork we have on file. If a past employee of yours requests their job information and artwork for their new company, we WILL NOT provide without written and signed consent from you. We pay very close attention to this and will inform you if this happens. In addition, your shipping labels will have no indication of Short Run Forms. If you work out of your home and want to represent us as your warehouse, we can simply have your company name with our return address on the label ONLY as per your request. We SAVE a ton of information in our systems. We have mostly all job information for the past twenty years that we can recall if needed. We do however only keep our physical job tickets and samples for around 3 years. Need artwork from the early 2000’s? YUP, we have mostly everything on file from back then also. We are diligent in planning for the future so along with physical copies of everything, we also have all of your job information, estimates and artwork backing up into the cloud 24 hours a day. 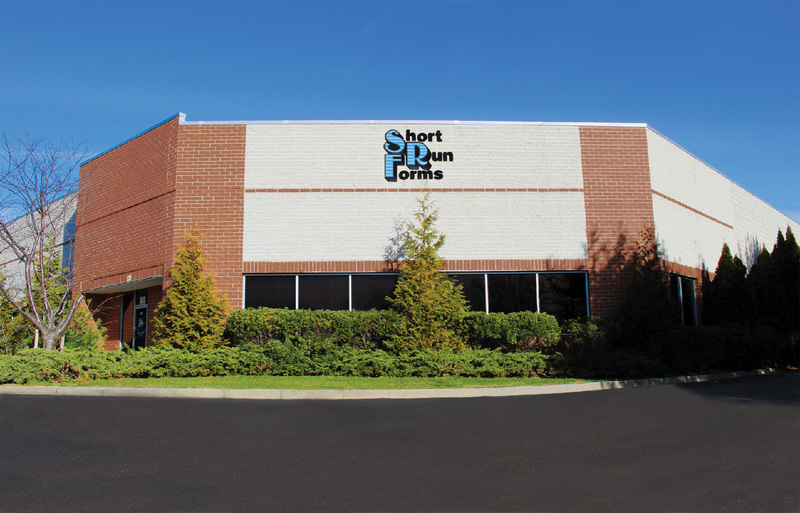 This is another big reason to TRUST Short Run Forms for your future business.